Steve Merril has isolated another SOLID side play for Friday night in the NBA Playoffs - Blazers/Thunder (ESPN) - 9:35 pm ET - Don’t miss out. Guaranteed Side that will CASH IN BIG! 10* Play YANKEES (-1.5 runline). 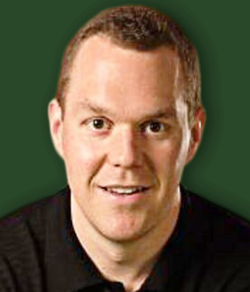 Steve Merril has been with us for close to ten years and during that time he’s been one of the greatest NBA handicappers we have ever seen. He gets it done from the opening tip of the season all the way through the Finals. Nobody is as consistent all year long as Merril is. He’s won plenty of titles in his career, and despite not putting out a large quantity of picks he’s done really well on our site as well. He’s finished #4 in 2011-12 with a 93-68 (57.8%) record. He was also #4 in 2009-10 when he went 122-93 (56.7%). He has a 5th place finish in 2008-09 when he went 70-48 (59.3%) and then finished #7 in 2012-13 with a 96-67 (58.9%) mark. That is a lot of winning over a long period of time and is a big reason why we don’t think there is as anyone as consistent with their winning as Merril is. The techniques he uses varies, but it’s all about finding value. Where are the odds just not quite where they should be? To find this he uses statistical analysis, situations, trends, matchups, and motivational factors. It’s the same type of strategy that he has used to win playing poker and with the stock market. He has a unique knowledge of statistics and probabilities that really sets him apart in the sports betting field. When he releases one of his betting tips, you also get to see why he likes that team to win. There are no surprises and his analysis is some of the most in-depth work in the business. You get to learn from each one of his daily reports what types of things Steve looks for when he’s finding winners for his clients.